Outsource Accelerator provides the worlds best outsourcing directory. It is no secret that outsourcing can provide a lot of benefits and advantages to a business. 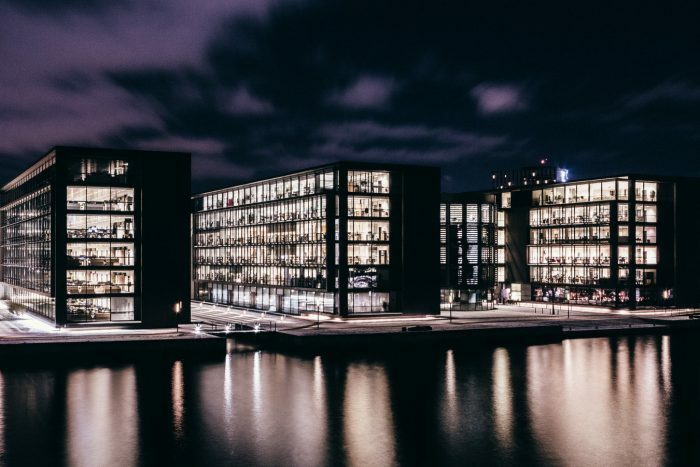 No matter how small-scale or how large-scale the business, outsourcing can be a way to ease the burdens and daily rigors of redundant daily tasks in a business process. The real question is where do you start with outsourcing in your business? Do you fully understand what outsourcing means and what it can bring? Are you aware of the concepts and processes that come with this business management move? There is no need to fret if you still have questions about outsourcing. Outsource Accelerator provides you with a one-stop site for all things outsourcing, including articles where industry professionals and experts answer all your questions. But, all these benefits aren’t enough to make sure your outsourcing efforts are a success. You must remember that outsourcing also comes with risks, and as such, you have to be careful in transitioning your business to work with it. One of the first, and probably the most important considerations to make, is how to go about choosing the ideal outsourcing partners that can fulfill your business needs. But where should you start looking for a resource that lists third-party service providers that match your business’ needs? Outsource Accelerator provides you with a comprehensive Philippine Outsourcing Companies Directory. The moment you start looking for outsourcing partners, you are more than likely bombarded with plenty of third-party service providers who claim to be the best in the industry. The second you click on the search button of your internet browser looking for the ideal outsourcing company for your business, you will face plenty of results naming available firms from various areas and even from various countries. Having a lot to choose from is usually a great thing. It will give you a lot of flexibility so that you can carefully decide which outsourcing partner is ideal for the job you have in mind. However, it can also be quite overwhelming if you don’t know where to start looking, and the same can be said if you don’t know what you are looking for in an outsourcing firm. Wouldn’t it be a whole lot easier for you to look for the available reputable outsourcing companies if there is a comprehensive outsourcing directory in hand? Think of having a book you can open anytime and anywhere listing all of the outsourcing companies in your area, or those in the next city or state, or even those in other countries. Think of a complete list of companies with details on the outsource services they are currently offering besides their contact numbers, email addresses, and their websites which you can all use in order to make further inquiries? Wouldn’t that be easier for you? That is exactly what we have in mind – the reason that we at Outsource Accelerator have created a Business Process Outsourcing Directory. We provide you with a comprehensive online listing of all the available outsourcing companies in the Philippines. With this list, it makes it easier for you to choose the ideal outsourcing partner for your business based on the descriptions and outsourcing services they offer. While there are many outsourcing companies in our directory, choosing one that would be ideal for your business outsourcing needs is not all that difficult. We have them listed along with details on what outsourcing services they offer in order to make things easier for you to match your business needs with their available services. Whether you want an IT outsourcing company or require someone to do data entry work for you, you will easily find what you are looking for in our outsourcing directory. The Yellow Pages are one of the best company listings available. In it, you can easily and quickly look for businesses you can contract with in order to fulfill certain services you have in mind. For instance, if you are looking for a voice-related outsource company, you can easily find one based on the service you are looking for and the preferred city or country where you desire to outsource such services. Looking for an outsourcing partner doesn’t have to be taxing with all the choices available online. Still, it can often be, especially with search results that go on for many pages that, at the same time, don’t give you any guarantee that the outsourcing company listed is legitimate. At Outsource Accelerator, we are dedicated to bringing you everything you need to start getting the information you need to know about outsourcing your business. This includes finding the nearest or the best outsource service provider – no matter where they are. It is now easier, faster, and more convenient than ever. We can provide you with an all-inclusive yellow page that focuses on outsourcing. The site is not exclusive to articles about outsourcing either. We’re focused on giving you a site where you can find available third-party service providers that can work with you on your outsourcing project. Imagine a site where you can search for the particular service you want to outsource to another company and get a list of results in just a few seconds. In addition, you can tailor your search based on your preferences. If you prefer to hire an outsource service provider that is nearby or is at least, in the same city, you can easily find one. However, if you are in a different country and are looking for an outsourcing company in the Philippines due to a need for global expertise that might not be available in your area and in nearby cities, we give you all the available service providers you can find in the Philippines. While most of the outsourcing companies in our yellow pages are mostly on voice-related outsource services, you can still find various firms that offer other niche and focused services such as Virtual Assistants or Accounting focused outsourcing companies. Our BPO Business Directory Philippines lists all Philippines outsourcing companies you can choose from. Whether you are looking to outsource content creation and marketing, payroll services, bookkeeping, scheduling and administrative tasks, design, and development or conversion optimization, you will have an entire list at your disposal. Here, you can choose the best Philippines to outsource service provider that is tailored to fit your business’ outsourcing needs. There are many business process outsourcing companies you can find on the internet. There will be pages and pages of available outsourcing firms when you click on the search button. But, not all of them will be worth your while, and not all of them will be worth your time, money, and effort. With all the available outsourcing firms to choose from, you have to examine each of them and find out if they offer legit services or not. That often takes a lot of time and effort. To gain success in outsourcing services from third-party service providers, one important factor is finding the ideal partner for your business. Having a subpar outsourcing partner won’t help you become successful. When it comes to outsourcing, only the best partner will do, and that is what you should be looking for. There are certain factors to consider when choosing an outsource partner. These include their infrastructure, resource quality, IP and confidentiality, communication, and outsourcing cost. But, what questions do you need to ask when looking for the best outsourcing company for your business? What things should I look for in the best outsourcing service? 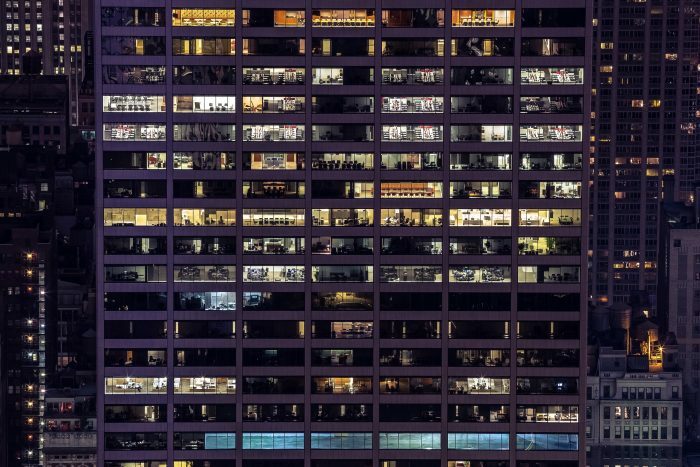 What makes an outsourcing company the best in the industry? How can I spot the best outsourcing firm for my business? How can I make sure that an outsourcing partner is what’s ideal for my business? How can I differentiate a subpar outsource service provider from the best one when they are both claiming to be the industry’s best? How can I be smart when choosing the best outsourcing company? What are the best tips in looking for the best outsourcing service? Answering these questions is necessary when looking for a professional or business that you can trust to help fulfill your business processes. After all, you are entrusting a part of your business to them. When you think of it, looking for the best outsourcing company involves plenty of effort and smart choices. But, this process doesn’t have to be hard. We at Outsource Accelerator don’t simply give you a comprehensive resource to answer all of your outsourcing questions. We also provide you with a complete list of the top outsourcing companies all around the Philippines. 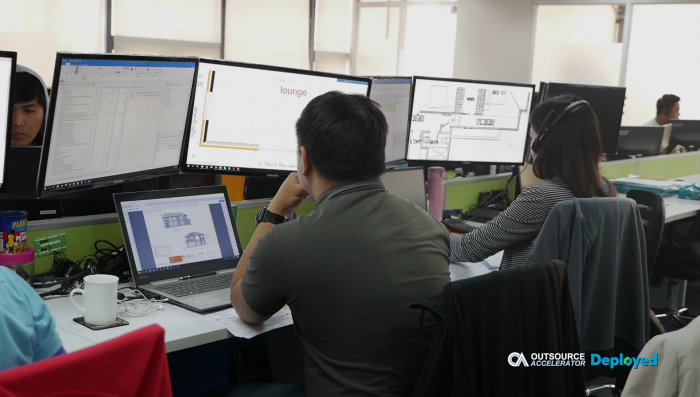 We have made Outsource Accelerator every business’ one-stop site in looking for the ideal partner for their outsourcing needs in the Philippines. We’ve done all the hard work for you. Instead of browsing through all the results pages online, we’ve simplified your search for an outsourcing company through our list of the best in the industry. 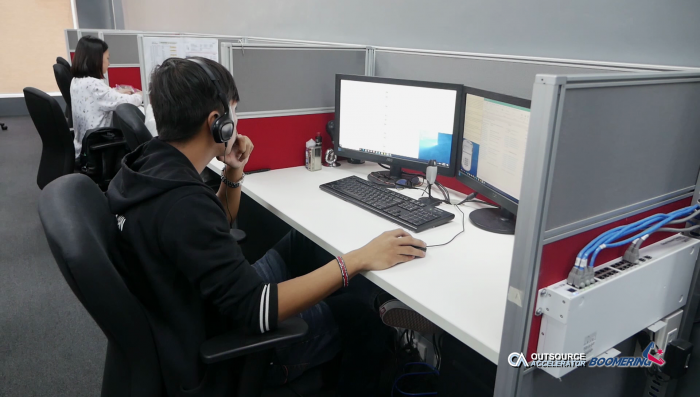 It has become increasingly popular to outsource call center services to the Philippines. In fact, the Philippines is the leading voice-based outsourcing service supplier in the world. For any business, a call center is a vital division and as such, it should offer quality and consistency. Outsourcing it to a third-party service provider has become very sensible because doing so is cost-effective and is certain to save the business money. It also helps guarantee that the outsourced service is rendered competently if the outsource service provider specializes in it. The popularity of call center outsourcing has led to the formation of many businesses offering this service. There are also countries that offer a massive workforce for call center needs for businesses. But, there are countless reasons why the Philippines is among the top choices, if not the topmost choice for outsourcing call centers worldwide. The country has a large, educated, tech-savvy, and English-speaking workforce, which all results in high-quality, cost-effective manpower. With the long list of available call center service providers, choosing the best among the bunch can be a little tricky. However, we at Outsource Accelerator provide you an all-inclusive list of all the reputable and industry-leading call center companies where you can outsource various voice-related services. Are you looking for a third-party company you can hire to do inbound calls for your business? We have a long and comprehensive list of outsourcing companies that offer various inbound call services from customer service and support, IT experts for technical troubleshooting, as well as customer representatives to do your inbound sales. Do you run an online store and need an outsource business to do your order processing for you? Or perhaps you are a service provider and need representatives who can answer your customers’ queries 24/7? These services won’t be easily covered in-house, and outsourcing becomes a very good option in these situations. That is also where we come in, providing you with a list of all the best possible businesses where you can outsource call center services with guarantee and ease. In addition, we also have a long list of companies that offer outsourcing services for outbound calls. Whether you need someone to set your meetings and appointments, remind you of your business transactions, or perform your business’ lead generation, telesales, and market research, we have choices for what you are looking for. Other call center services we have on our Philippine Call Center and BPO companies directory also offers industry-specific services such as payment protection, event registration, loyalty programs, billing reminders, telemarketing, upselling and cross-selling, insurance sales and many others. If you are an outsourcing service provider, you can also submit your BPO company to our site and be part of our outsourcing directory. It’s a nice, convenient way for customers and businesses looking to outsource to see what you have to offer.